Democrat Rebecca Millett of Cape Elizabeth is seeking her third term, and is being challenged by Republican George Van Syckel of South Portland. In a second attempt at elected office, Republican George Van Syckel of South Portland is challenging incumbent state Sen. Rebecca Millett, D-Cape Elizabeth, for the seat representing District 29. Senate District 29 includes South Portland, Cape Elizabeth and part of Scarborough. 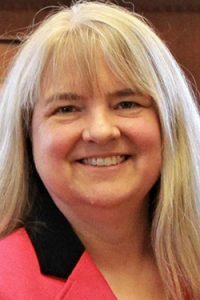 Political/civic experience: Intern for Sen. Mark Hatfield, R-Ore., in Washington, D.C.
Millett, 56, is serving her third term in the Maine Senate. She said she decided to run again because there are “still many challenges and opportunities we’re facing as a state” that she’d like to continue to work on. Her No. 1 priority, Millett said, would be working to get more affordable and accessible health care to more Mainers. She is in favor of Medicaid expansion. Other priorities for Millett at the state level are the environment, the opioid crisis and workforce development. She said part of the struggle by employers to find qualified employees can be attributed to Maine’s aging population, as well as getting young adults the education they need to succeed in most of Maine’s industries. “We also need to look at our career tech programs and make sure their equipment and instructors are sufficient,” she said. In terms of the opioid crisis, Millett said the state has been “nibbling away at” the issue, but needs a “chief executive” that will partner with lawmakers to find solutions. Millett said property taxes could be lowered by increasing state funding for education and revenue sharing. “We also need to beef up property tax relief programs,” she said. In 2016, Van Syckel ran for the House seat in Cape Elizabeth but was defeated by Rep. Kimberly Monaghan. His top priority, Van Syckel said, is elder care, such as providing quality housing for seniors. “If there’s quality housing for them, that will free up a lot of homes for the younger generations,” he said. Van Syckel said he adamantly opposes anything that creates a greater tax burden for Mainers. He said Medicaid expansion needs to be re-evaluated and looked into further. Van Syckel said he also thinks taxes, such as the excise tax, prevent individuals and businesses from coming to or staying in the state. “We regulate and regulate and regulate … (and) those who survive the regulation are taxed out,” he said. 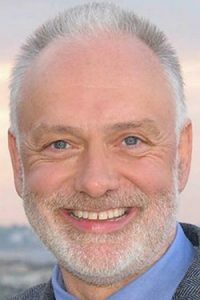 Millett is a publicly funded candidate under the Maine Clean Election Act and has raised $30,375, according to the most recent report posted by the Maine ethics commission. Van Syckel is traditionally financed candidate and has raised $2,100, according to the commission.